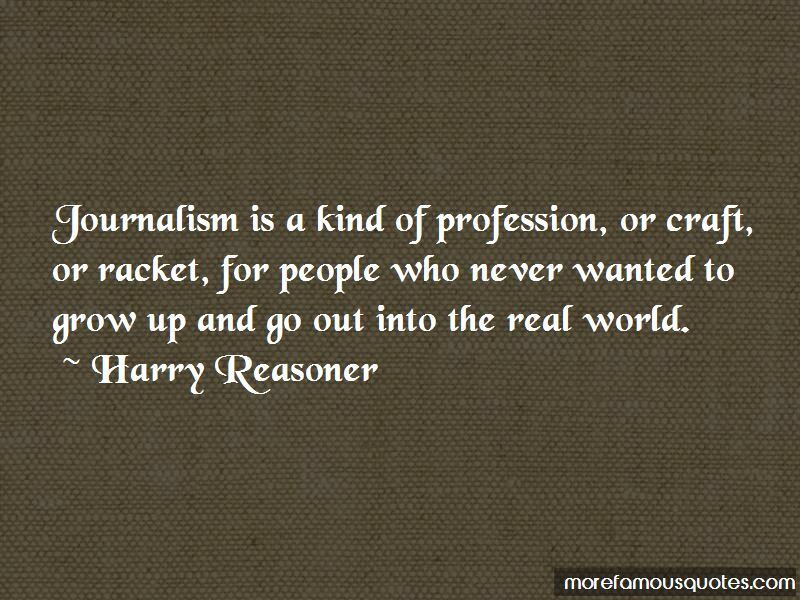 Enjoy the top 8 famous quotes, sayings and quotations by Harry Reasoner. The thing is helicopters are different from airplanes An airplane by it's nature wants to fly, and if not interfered with too strongly by unusual events or incompetent piloting, it will fly. 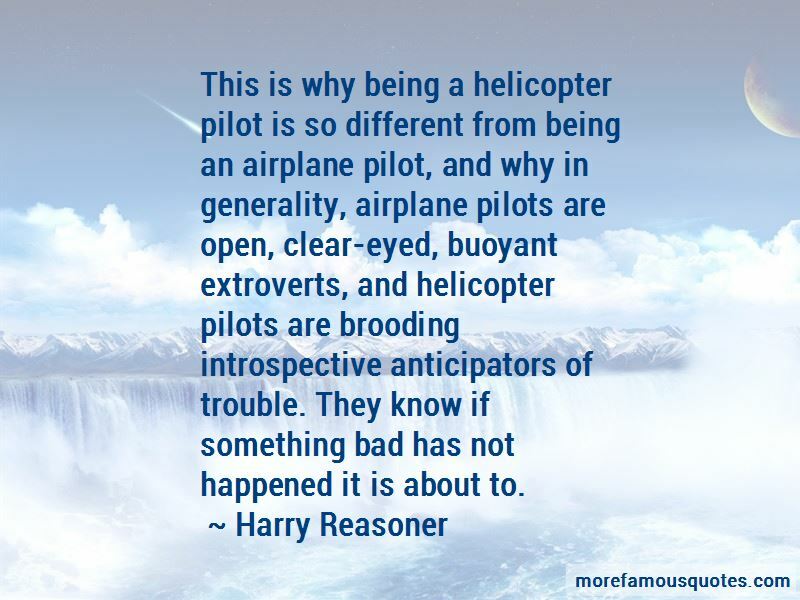 This is why being a helicopter pilot is so different from being an airplane pilot, and why in generality, airplane pilots are open, clear-eyed, buoyant extroverts, and helicopter pilots are brooding introspective anticipators of trouble. They know if something bad has not happened it is about to. 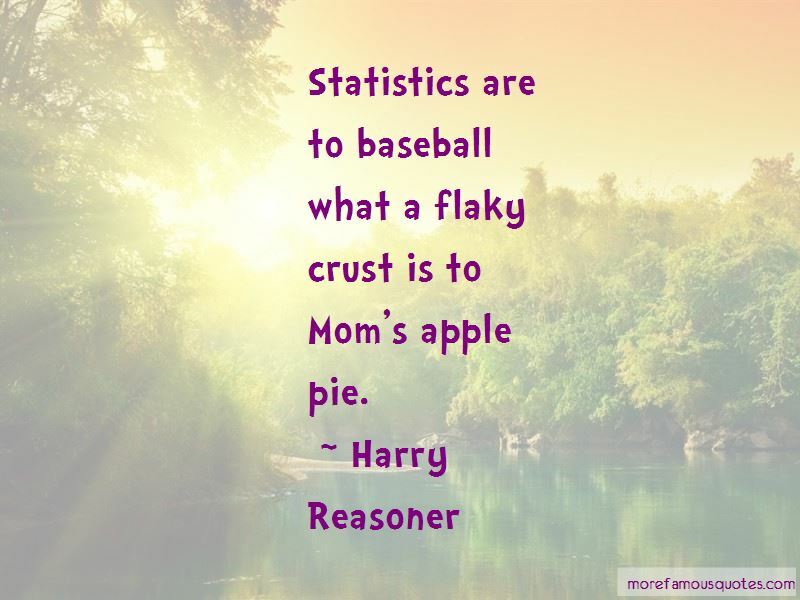 Want to see more pictures of Harry Reasoner quotes? 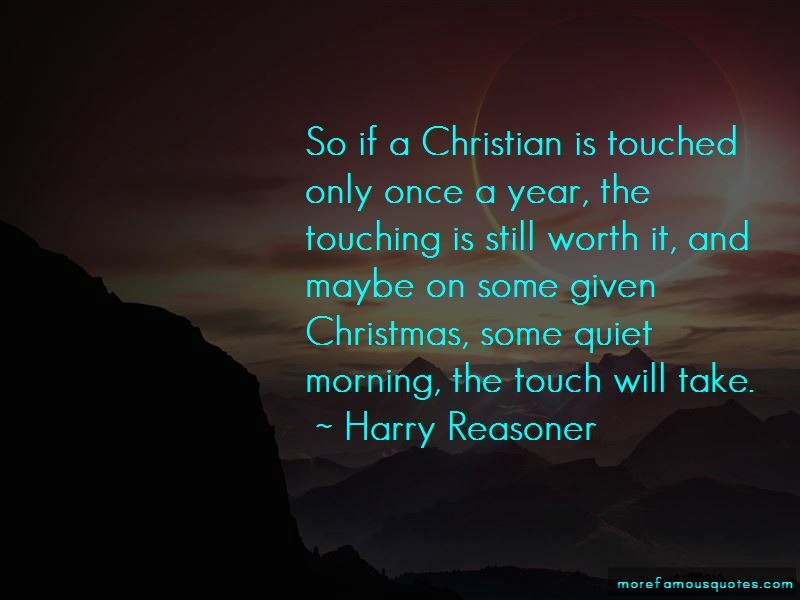 Click on image of Harry Reasoner quotes to view full size.